Urban leaders from around the world are meeting in Quito, Ecuador, October 17-20, 2016, to set the global agenda for the future of cities at the United Nations Conference on Housing and Sustainable Urban Development, known as Habitat III. Through the World Resources Report (WRR) on sustainable cities, WRI offers real-world research that aims to convert plans into implementation to create cities that live, move and thrive. One section of the WRR is on safe, secure and well-located affordable housing, and will be presented at the WRR launch event in Quito October 16. A good home gives families a base to build the foundations of society. A good home can give people physical and financial security, let them care for one another in healthy living conditions and encourage and empower them to seek better jobs, including paying work done at home. The right to adequate, affordable housing is promised in the constitutions and laws of more than 100 countries, but these rights are often inadequately implemented. There is currently a worldwide shortage of affordable housing. Consider the case of Jussara in Porto Alegre, Brazil. 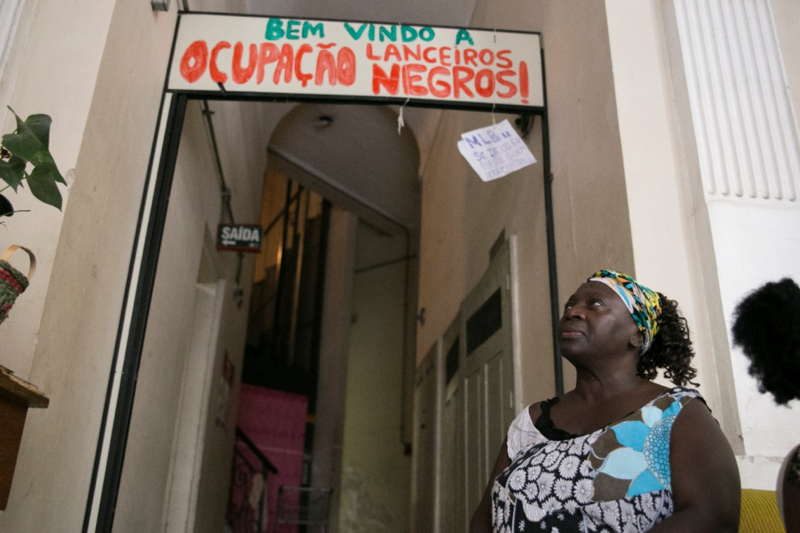 Jussara came to the city in search of economic opportunity, but moved repeatedly in search of affordable housing, facing decades of evictions and unsafe housing in the process. “The government just ‘throws’ people anywhere, but doesn’t protect us,” she said. Jussara finally found a place to live in the city center, closer to services and job opportunities: she and her extended family are illegal occupants of a downtown building because they have no other affordable options. In many rapidly urbanizing areas, large segments of the population live in substandard housing with uncertain property rights, with limited access to basic services such as clean water, toilets, electricity and garbage collection. More than 828 million people were living in informal settlements in the global South in 2010 -- one-third of its urban population – and the challengeis expected to get worse as urbanization intensifies in Asia and Africa. UN Habitat estimates there will be 889 million living in slums by 2020. The global affordable housing gap will grow from 330 million urban households now to 440 million by 2025, which means over 1.6 billion people living without affordable legal housing worldwide. Policies that set eligibility requirements for formal renting or homeownership often lock out the poor, as they require extensive documentation – such as proof of employment and wages – that is unavailable to those who work in the informal economy. A healthy housing market includes a range of options and arrangements. Emphasis on one type of housing arrangement leads to shortages for important segments of the city’s population, especially for the poor and lower middle class, who often then end up in informal and less secure living arrangements. Creating secure, affordable housing in and around cities — rather than in distant areas -- is essential to ensure economic productivity, environmental sustainability and equity for the whole metropolis. If there isn’t enough affordable housing in the city, more poor and lower middle class residents will be pushed to the outskirts, far from infrastructure, social networks and existing jobs, creating long travel times and additional expenses. Location and access to services matter. Many cities have attempted to solve the problem of informal settlements by either enticing or forcibly relocating residents to the urban periphery where land is cheaper. This only enlarges the urban footprint, increasing traffic congestion, the cost of services and other social costs. A national housing initiative in Mexico, for example, resulted in construction of housing communities outside cities, significantly increasing commute times that have been reported to last as long as two hours one way. The plan was so unpopular that residents eventually abandoned far-flung housing for accommodations closer to the city center. Similar situations have occurred in Brazil and India, where slum eradication and resettlement don’t solve urban problems; they just move them elsewhere. Housing will be one of many issues discussed at Habitat III and addressed in the New Urban Agenda. Valid goals and approaches to affordable and sustainable housing are found throughout as a key element of sustainable and inclusive urban prosperity for all. The next step will be to move beyond paper to implementation. WRI’s World Resources Report will focus on challenges and solutions over the next year aimed at creating more equal cities. Future research papers will look at practical solutions to core services like housing, energy, and transportation as well as provide insights into the broader process of urban transformation. The WRI will launch the report Oct. 16 in Quito.